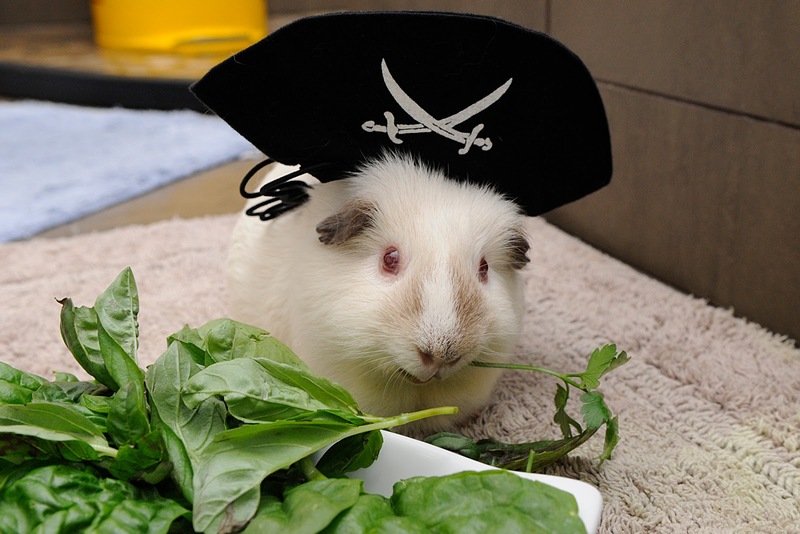 Hello, Veganuary: A guinea pig enjoying a parsley and basil salad. This month, I plan to have a lot more in common with the three herbivores in my household (Osler, Cornflake, and Randy) than I will with the obligate carnivores (Mike and Hero) and the omnivore (Phil). I’m one of many people around the world signing up for Veganuary. 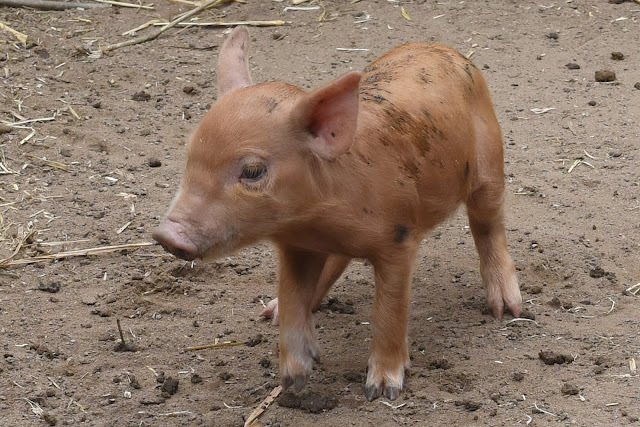 I’ve been vegetarian for a while, but in studying animal welfare over the past year I’ve come to question current animal husbandry practices in a range of contexts. It wasn’t that I was previously comfortable with them – I just honestly did not think about them. I did not have the time. And apart from avoiding meat and trying to eat eggs laid by chickens I’ve met personally (there are quite a few), I didn’t focus too much on where food came from. I assumed, like many others, that animal welfare was something I would think about between meals.Yet eating animal products impacts on their welfare. And most human beings eat at least three times a day. So the scope of that impact is huge. One question I continue to return to is, as a veterinarian, is there a conflict of interest in consuming animal products? After all, if anyone has detailed knowledge and experience regarding the sentience of animals, it would have to be vets. So we should be reviewing our practices in the light of that knowledge and experience. Years ago in vet school we held a debate on this very topic, entitled “Should you eat it if you treat it?” In Australia that’s not exactly a dilemma for companion animal veterinarians, but it’s a worthwhile question to ask. It’s also an emotive one. People can become staggeringly defensive when questioned about their animal use and consumption. There are livelihoods at stake. Traditions. Habits. Food preferences. I get it. But isn’t asking whether we are doing the right thing, or whether we are operating on shaky or false premises, our duty as veterinary scientists? My view is that we are morally obliged to question our own behaviour. How is it that we treat some animals as if they were almost our own offspring, and others – with the same level of consciousness, the same complex behaviour – in a way that causes or contributes to their pain and suffering? (see for example, Hal Herzog’s discussion) And do we really need to? In this day and age? Is it time to change our ways in relation to consumption of animals? Right now, having researched the topic, my answer to the latter question is, “well, no, we don’t”. Yet our current systems of animal husbandry, in the main, could not be said to respect the intrinsic value of animals, with many falling well short of meeting the Five Freedoms (and the newer Five Domains). Whilst it would be very neat to argue that intensive or factory-farm systems are associated with poor welfare and extensive or free range systems are ideal, this isn’t the case. There can be welfare problems associated with both and these can cause significant suffering. Reading best-practice slaughter guidelines – something I’d not really explored until 2015 – has been an eye-opener for me. I’m not sure these would be consistent with many people’s views of what constitutes acceptable welfare, even when “best-practice” is achieved. One issue that has recently been gleaning far more media and government attention than animal welfare is the environment, and especially climate change. Global consumption of meat and milk is rising at an unsustainable rate – this is acknowledged by organisations such as the Food and Agriculture Organisation of the United Nations (FAO). In a report released in 2006, the FAO noted that the livestock sector generates more greenhouse gas emissions than transport. A review in this month’s issue of Food Policy noted that livestock production occupies 75 per cent of agricultural land, contributes 14.5 per cent of human-made (anthropogenic) greenhouse gas emissions, and is driving agricultural expansion through the global trade in animal feed. The rapid growth of the sector is driving deforestation and pollution at an alarming and unsustainable rate. Then there is the issue of food security. The demand for meat is predicted to increase 60 per cent by 2050. We simply cannot feed the world if people continue to consume meat and milk at the same rate, and in the same way. Governments are less concerned about animal welfare but the above statistics have them very, very worried. In terms of the environmental impact of livestock farming, proposed solutions include reducing demand (that requires us, the consumers, to commit to reviewing out diets). Another strategy aims to increase efficiency, and given land is running out that means more intensive farming systems. Still there are other strategies like changing animal diets so they are complementary – rather than competing with ours. (There’s an excellent discussion on the use of low-impact animal feed to reduce the land of pork production in the European Union here). Veganuary addresses strategy one – reducing demand. Even Arnold Schwarzenegger has publicly urged people to eat less meat. Whoever said Vegans did not have a sense of humour? 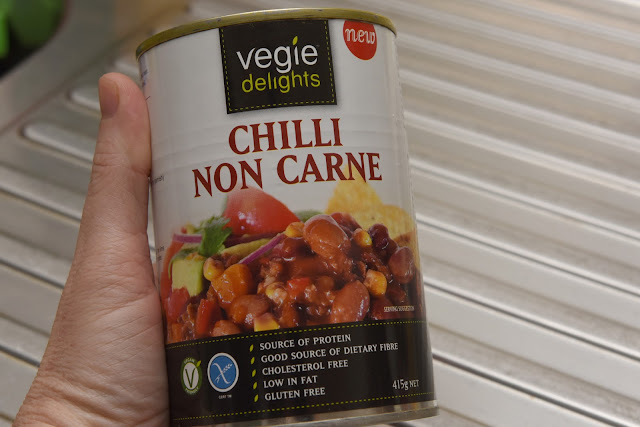 There's no reason why omnivores can't indulge in a Chilli Non Carne once in a while. Of course I’m going a step further then Arnie and avoiding the consumption of all animal products this January. (But if you’re wondering whether a body builder can flourish on a vegan diet, check out thisbook of interviews with vegan athletes). There are a number of other vets doing the same. For many, the question of our treatment of animals, and the welfare of those animals, is the pressing concern. 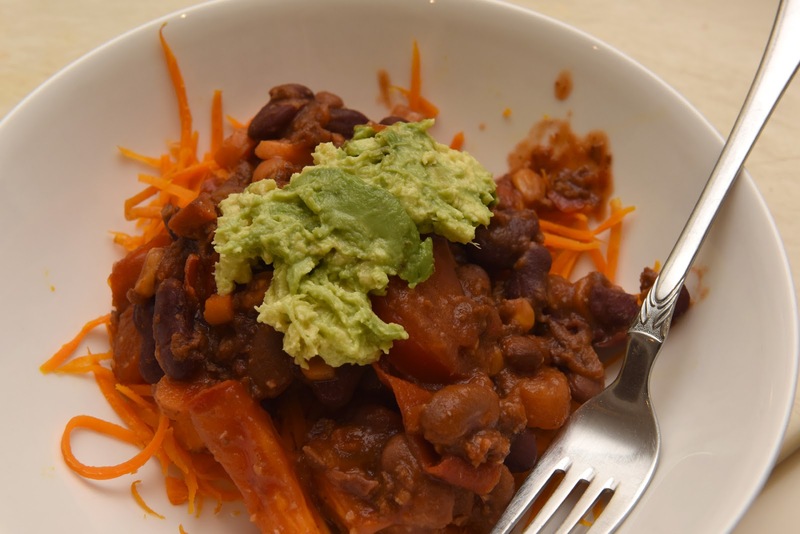 Last year, vet and blogger Dr Pete Wedderburn participated in Veganuary for similar reasons (you can read why here). Given my culinary skills, I was a bit worried about what I would cook (especially given the kitchen is my least favourite room of the house). Anyway, I’m pleased to report that remedial help is readily available for Veganuary and beyond. This is Chilli Non Carne with frills: carrot, tomato and avocado thrown into the mix. I have had loads of feedback about this post. There is a Veterinary Vegan Network for veterinarians, nurses and others working with animals. And here is a satirical look at the "should you eat it if you treat it" question from That Mitchell and Webb Look. Webster J (2005) AnimalWelfare: Limping Towards Eden. UFAW Animal Welfare Series. Oxford: Blackwell Publishing. Ermgassen EKHJ, Phalan B, Green RE and Balmford A (2016) Reducing the land use of EU pork production: where there’s swill, there’s a way. Food Policy 58:35-48.